When you confront this card's Problem, turn this card over. 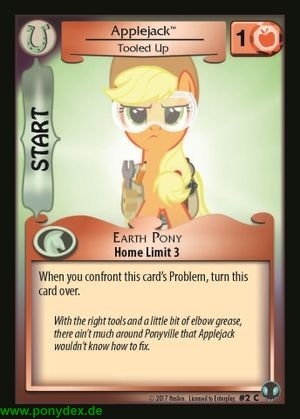 With the right tools and a little bit of elbow grease, there ain't much around Ponyville that Applejack wouldn't know how to fix. Immediate: During a faceoff, exhaust this card to flip an additional card. 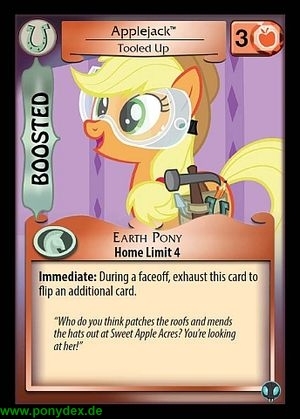 "Who do you think patches the roofs and mends the hats out at Sweet Apple Acres? You're looking at her!"